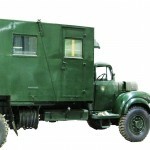 The newly opened REME Museum in Wiltshire have some great attractions coming up. 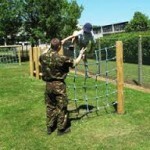 Their brand new kid’s assault course run by REME Soldiers will be open and there will be fun uniform activities for all to try. Why not come along and build a medal or design your own uniform? There will also be a chance to handle real uniforms that have been used by REME over the past 75 years. The assault course and family activities are included in the Museum’s admission fee. Just turn up and there is no need to book. Make working LEGO recovery vehicles in this family fun 2 hour session. Using the Museum's IET and IMechE funded LEGO education sets, make a working vehicle with motors, pulleys and cogs. Your task will be to build a working vehicle to recover a broken down crane in 1 hr. This workshop is delivered by the Education Officer and is a great chance for the whole family to get involved. Can you build a shelter out of junk in only 20 minutes? There will be a chance to see how the Army build shelters before working in teams to build your own in the Museum grounds. Watch out, the Education Officer will be testing them with a watering can with you inside! Pre-booking required. £1 per child (museum admission also required). Adult supervision required at all times. Limited spaces available so please book soon. A chance to design a uniform to hide in any environment and make your own camouflaged Army truck. This fun family workshop is a drop in session with no need to book. There will also be a chance to handle real uniforms that have been used by REME over the past 75 years. Drop in family activities are included in the Museum’s admission fee. Look at the REME Museum’s collection in a new way. Pads and pencils will be provided to draw the Museum’s diverse collection. Art materials will also be on hand in the Education Area to help complete your masterpiece. This fun family workshop is a drop in session with no need to book.